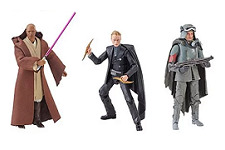 Site sponsor Entertainment Earth has just added the wave 20 case of The Black Series for pre-order. 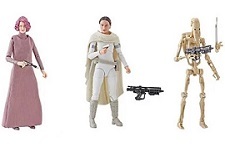 Comprising one each of Han Solo (Mimban Mud Trooper), Dryden Vos, Mace Windu and Vice Admiral Holdo, and two of Padme Amidala and Battle Droid, the case is priced $174.99 and set to ship in April. Follow the link above to place your pre-order.